Retro Friday is a weekly meme hosted by Angie over at Angieville and focuses on reviewing books from the past. This can be an old favorite, an under-the-radar book you think deserves more attention, something woefully out of print, etc. The news of Mary Stewart recently passing away reminded me that I’ve been meaning to read more of her novels. I have a few of her romantic suspense novels in my TBR pile, one of which is her first novel Madam, Will You Talk? When I found out that this book is set in Provence, I was immediately curious and I wanted to read it sooner rather than later. Charity had been looking forward to her driving holiday through France with her friend Louise – long, leisurely days under the hot sun, enjoying the beauty of the Provencal landscape. But very soon her dreams turn into a nightmare, as Charity becomes enmeshed in the schemes of a gang of murderers. I wish I could drive like that! The setting of the book starts in Avignon and explores the surrounding areas including Nimes and Marseilles. Mary Stewart’s descriptions made me want to visit Provence and all the places that Charity went to. One of the reasons why I enjoy this author’s romantic suspense novels is because each book is set in a beautiful and vibrant location. It says something about Mary Stewart’s writing that she can make these places come alive. She also has a way of keeping readers in suspense all throughout the story. I feel like I was right there with Charity, while she was being chased by a suspected murderer. I was cheering her on while she zoomed her car through all those French highways. I kept turning the pages because I wanted to get more information. I was very curious about how the mystery will be solved and how the romance will develop. As with all other Mary Stewart mysteries that I’ve read, Madam, Will You Talk? ended on a satisfying note. Another good romantic suspense read. I look forward to reading the rest of her books. I’m not a huge fan of horror books or even horror movies or horror stories. What can I say, I’m a big scaredy-cat. So I don’t think I would have read Paper Valentine by Brenna Yovanoff if it wasn’t the YAckers pick for this month. Since the book is available in the Singapore public library and I didn’t have to buy a copy, I thought I might as well give it a try. Plus, I didn’t want to miss a YAckers discussion two months in a row – last month’s discussion was about Anna Dressed in Blood, another horror book. Also, I haven’t read any of Brenna Yovanoff’s books and I’ve heard good things about her writing from other book bloggers. With the entire city in a panic, Hannah soon finds herself drawn into a world of ghost girls and horrifying secrets. She realizes that only by confronting the Valentine Killer will she be able move on with her life — and it’s up to her to put together the pieces before he strikes again. How about that cover? Looks lovely, doesn’t it? It’s so pretty that I don’t think I would have realized it was a horror book just based on the cover. But now that I’ve read the book, I think the cover design is a good fit. It took a while for me to get into the story and it wasn’t because I found the book creepy. It was spooky but that’s expected since it’s a story that involves ghosts and a serial killer. I guess I just found the start a little slow and dragging. Even after a hundred pages or so, I felt like I was still getting to know the main character, Hannah. And I did care enough about Hannah to read on. I liked how creative she is in designing her own dresses because she wants to look bright and happy even if she doesn’t feel like that inside. She hasn’t gotten over her best friend’s death and that probably has to do with the fact that Lillian’s ghost is constantly haunting her. I also liked the start of Hannah’s love story because it was tentative and hesitant and she liked a guy that was an unusual choice for her. I just wish there was more time for the romance to develop fully. So yes, it wasn’t like I didn’t like Hannah as a character, I guess I just didn’t like her enough to get over everything else that didn’t work for me in the novel. After I finished reading the book, I thought to myself, “That’s it?” because I guess I was expecting more from the story. It’s not that Brenna’s writing wasn’t good because it is, she has a way of vividly describing scenes and using beautiful phrases while she’s at it. I just felt like there was too much going on for me to like the whole thing. There’s the murder mystery, the ghosts haunting Hannah, Lillian’s death and how strong her hold on Hannah is, the romance, Hannah’s family and her interactions with so many other secondary characters. There were just too many bits and pieces struggling to be noticed that it felt like there weren’t enough pages to elaborate on all of them. Also, there was a build up to the murders but the revelation at the end was kind of a letdown for me. I don’t want to go into details for fear of spoilers but if you’ve read the book and want to hear about more in-depth thoughts, then please check out the YAckers discussion (will link to it once it’s up). It saddens me that I’m a little disappointed in my first Brenna Yovanoff but if you’ve read her other books, please let me know if they’re any good and whether I should pick them up. 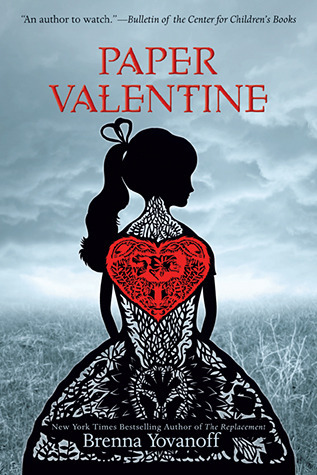 If you’re a fan of creepy ghost stories and murder mysteries then by all means, go ahead and read Paper Valentine. You might end up liking it a lot more than I did, it looks like that’s the case for other bloggers based on reviews that I’ve seen. 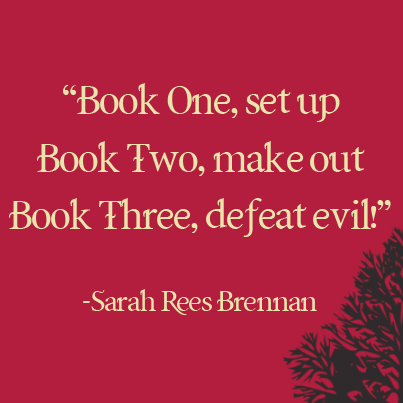 I know I’ve said this before but I love how hilarious Sarah Rees Brennan is. I follow her on her blog and Twitter and I think she’s really funny. I also know she has excellent taste in books, as proven by her Queen’s Thief Week guest post and by the number of recommendations that I’ve gotten from her. I’ve also enjoyed reading the first two Demon’s Lexicon novels (I know, I know, really need to pick up the third). So I was mighty curious when I first heard about Unspoken’s premise. I read this before leaving Manila a few weeks ago but because I’ve been having a reviewing slump, I haven’t gotten the chance to talk about it. Since it’s being released soon, I thought it’s high time I write a post about it. The Lynburn family has owned the spectacular and sinister manor that overlooks Sorry-in-the-Vale for centuries. The mysterious twin sisters who abandoned their ancestral home a generation ago are back, along with their teenage sons, Jared and Ash, one of whom is eerily familiar to Kami. Kami is not one to shy away from the unknown — in fact, she’s determined to find answers for all the questions Sorry-in-the-Vale is suddenly posing. Who is responsible for the bloody deeds in the depths of the woods? What is her own mother hiding? And now that her imaginary friend has become a real boy, does she still love him? Does she hate him? Can she trust him? I liked Kami right from the start – she’s smart, petite, partly Asian, dreams of becoming an investigative reporter and has a unique fashion sense that I envy. I feel like we’d get along if we ever met in person. She’s like a modern-day Nancy Drew or a Mary Stewart heroine. The connection between Kami and Jared just added to my curiosity – I wanted to know what was behind their ability to silently communicate with each other even if they’ve never met in person. I thoroughly enjoyed reading about Kami and her interactions with Jared, as well as the rest of the characters in the books. I liked that we get to know the secondary characters really well even though the focus of the story is Kami and Jared’s relationship. There was a lot of banter in the novel, which I expected since it’s written by Sarah Rees Brennan. I’m usually not a fan of love triangles but I didn’t mind that Unspoken sort of had something like that. Just a heads up though, there’s a cliffhanger ending so if you’re the type of reader who doesn’t like that, it might be better if you wait for the sequel. Can’t wait to find out what happens next to both Kami and Jared! 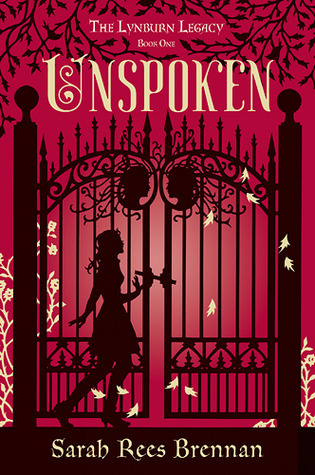 Unspoken is a really good read, I liked it even better than the two Demon’s Lexicon novels that I’ve read. Highly recommended so go and grab a copy when it comes out on September 11. As an added bonus, Sarah Rees Brennan released this prequel short story called The Summer Before I Met You. I’ve always wanted to go to Greece. It seems like such a lovely place, rich in culture and I would love to try authentic Greek food. I have no idea when I’ll be able to go though so I have to content myself with reading books with Greek settings. The Moonspinners is set in Crete and is the second Mary Stewart romantic suspense novel that I’ve read. I’m slowly enjoying going through her entire backlist. Nicola Ferris, on leave from her job as a secretary in Athens, has been looking forward to a quiet week’s holiday in Crete, enjoying the wild flowers and the company of her cousin Frances. I love that Mary Stewart’s books have different settings. I may not be able to afford a trip to Crete, but I can afford to read a book about it. The Moonspinners has such an atmospheric setting and it was one of the reasons why I enjoyed reading it. I liked seeing Crete through Nicola’s eyes because even if she’s lived and worked in Athens for a year, she’s still a foreigner. The little town she stayed in is a quaint and quiet little place, on the brink of being discovered by tourists. She described Greeks as warm and welcoming, fascinated by newcomers and eager to please. The descriptions reminded me a bit of the Philippines – beautiful beaches, pleasant weather and people known for their hospitality. It sounds like a tourist’s dream place, right? It would have been if Nicola didn’t land right smack in the middle of a mystery. Being a nice person, she volunteers to help out even if those involved don’t want to endanger her. I’m not a big fan of suspense or mystery novels but there’s something about Mary Stewart’s writing that draws me in. I’m never sure of the characters in the novel. I feel like I’m always nervous and worried for her main character, some of her scenes can really make my heart pound. And I’m never sure of the other characters in the novel – who is at fault, who is innocent and if they are hiding anything. I also like how Mary Stewart blends romance and suspense in her novels. Although I did feel like the romance in The Moonspinners was underdeveloped. I would have liked more scenes and conversations between Nicola and her man, I felt like they didn’t have enough time together. I liked the romance much more in Nine Coaches Waiting. 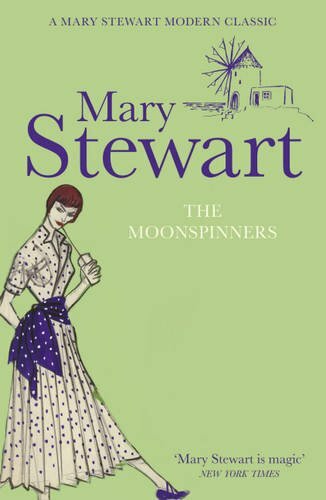 Still, The Moonspinners is an oldie but goodie, I believe all of Mary Stewart’s novels are like that. I can’t wait to read the other Mary Stewart novels set in Greece: My Brother Michael and This Rough Magic. I have a feeling I’d enjoy reading those as well. Also, I’ve heard that there’s an old Disney movie based on The Moonspinners, I need to find a copy of that too. 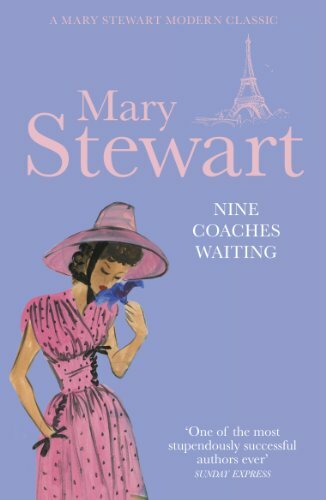 Nine Coaches Waiting by Mary Stewart is one of the titles that Angie suggested when I asked her for recommendations similar to Eva Ibbotson’s novels. I’ve never read a Mary Stewart novel before so I decided I should give her books a try, they seem intriguing. I called the local bookstore and was thrilled to discover that the branch near my house had a copy. This book probably spent the shortest time on my wishlist – bought a copy on the same day I found out about it. Holly mentioned that she’s also interested in reading Nine Coaches Waiting so we decided to do a read-along. As always, it was a lot of fun reading a good book with a friend, even if we can only discuss our thoughts through online means. I think one of the perks of having read-alongs is you get to talk about spoilery details and things that you can’t mention in a review. When lovely Linda Martin first arrives at Château Valmy as an English governess to the nine-year-old Count Philippe de Valmy, the opulence and history surrounding her seems like a wondrous, ecstatic dream. But a palpable terror is crouching in the shadows. Philippe’s uncle, Leon de Valmy, is the epitome of charm, yet dynamic and arrogant — his paralysis little hindrance as he moves noiselessly in his wheelchair from room to room. Only his son Raoul, a handsome, sardonic man who drives himself and his car with equally reckless abandon, seems able to stand up to him. To Linda, Raoul is an enigma — though irresistibly attracted to him, she senses some dark twist in his nature. When an accident deep in the woods nearly kills Linda’s innocent charge, she begins to wonder if someone has deadly plans for the young count. Linda forgot to include books, which are the best anodyne (had to look up the meaning of that word) for loneliness. It’s not surprising that she bonds with her charge, Philippe, who is also an orphan. Young Philippe may be a count but it sure doesn’t make his life easier. His Uncle Leon and Aunt Heloise may be interesting individuals but they aren’t exactly warm people – I was glad that he slowly became friends with Linda so that there was at least one adult who cared about him. When Raoul de Valmy enters the picture, the novel takes on a Jane Eyre and Cinderella feel. What’s even more delightful is that Linda was aware of it and kept making references to both stories. There’s a slow build-up at the start of the novel, plenty of time to enjoy the writing and get to know the characters. While the mystery wasn’t that surprising, the last few chapters had my heart pounding. I was scared for both Linda and Philippe and I wasn’t sure about a certain character’s innocence. There are enough twists and turns in novel to keep readers guessing. I breezed through the latter section of the book and was more than satisfied with how things ended although I wanted more of the romance. Don’t get me wrong, I think the romance was developed well but I just wanted more scenes between the heroine and her hero. Nine Coaches Waiting is the first book that I finished this year and if all of the books that I read in 2012 are just as good, I would be one happy reader. Recommended for fans of Gothic mysteries and romantic suspense. I enjoyed reading Nine Coaches Waiting so much that I knew it wouldn’t be the last Mary Stewart book that I’ll read. I’m looking at My Brother Michael or The Moon-Spinners for my next Mary Stewart read because both books are set in Greece and I’ve always wanted to go there. 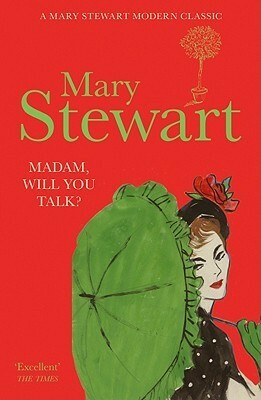 Feel free to recommend your favorite Mary Stewart, would love to check them out! I’ve noticed that I’ve posted at least one Retro Friday review per month this year but I still don’t have one for December. I don’t want to break the streak so here I am, squeezing one last review before the year is out. 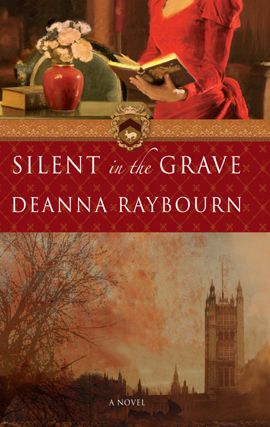 Silent in the Grave by Deanna Raybourn, the first book in the Lady Julia series, seems like the perfect choice for this. I used to read mysteries back in high school because I just borrowed anything that I could from friends. I think I was never really into it because I thought some of the aspects of mystery novels, such as murder, are creepy and I’m a scaredy-cat. I was looking for a cozy read this December and I’ve heard such good things about the Lady Julia Grey series that I decided to pick it up. Also, the second book in the series is set during Christmastime so it’s the perfect read for this time of the year. These ominous words, slashed from the pages of a book of Psalms, are the last threat that the darling of London society, Sir Edward Grey, receives from his killer. Before he can show them to Nicholas Brisbane, the private inquiry agent he has retained for his protection, Sir Edward collapses and dies at his London home, in the presence of his wife, Julia, and a roomful of dinner guests. Prepared to accept that Edward’s death was due to a longstanding physical infirmity, Julia is outraged when Brisbane visits and suggests that Sir Edward has been murdered. It is a reaction she comes to regret when she discovers the damning paper for herself, and realizes the truth. Determined to bring her husband’s murderer to justice, Julia engages the enigmatic Brisbane to help her investigate Edward’s demise. Dismissing his warnings that the investigation will be difficult, if not impossible, Julia presses forward, following a trail of clues that lead her to even more unpleasant truths, and ever closer to a killer who waits expectantly for her arrival. To say that I met Nicholas Brisbane over my husband’s dead body is not entirely accurate. Edward, it should be noted, was still twitching on the floor. Those lines immediately make you curious as a reader and you can’t help but be drawn into the story. I was determined to find out who this Nicholas Brisbane was and why Lady Julia’s husband was twitching on the floor. December is such a busy time of the year so I read this book in bits and pieces. I remember there was one time when I read this in a coffee shop while waiting and some of the scenes had me smiling (another moment of crazy person smiling to herself while reading on her Kindle). I was frustrated that I didn’t have enough time to read the past few weeks because I thoroughly enjoyed getting to know both Julia and Nicholas Brisbane in this first novel. Smart and sassy Julia, who slowly starts to come out of her shell after her husband passes away. And the enigmatic Nicholas Brisbane – tall, dark, brooding and with an unusual past. These two are forced to work together to solve the mystery surrounding the death of Julia’s husband. There are so many delightful aspects of this novel that just worked for me: the wild and unconventional March family, the banter and hint of romance between Julia and Brisbane, the plot that unexpectedly twists and turns. This is a novel (or series) that makes you invest in the characters. I loved Julia’s relationship with her father and I also loved that the Earl is such a liberal and open-minded person for someone living in the Victorian era. I also liked seeing how Julia relates to her sister Portia and her youngest brother Valerius. I have a feeling each book in the series will feature a different March sibling because Julia HAS nine siblings and I’m looking forward to that. I did guess who the murderer was but was completely blindsided by the reasons behind it. I gobbled this up as soon as I had free time on my hands and it made me happy that I finished it and started the second book just in time for Christmas. Silent in the Grave is a good start to a promising series. I’m glad that Deanna Raybourn has a backlist that I can look forward to. Yes to more Julia and Brisbane being partners in solving crime.